Pay less and get more on this Madrid Super Saver tour, which combines a half-day tour of Toledo and a half-day tour of Aranjuez. 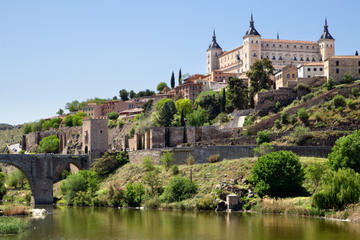 In the morning you’ll travel to Toledo, Spain's medieval capital and a treasure trove of architecture and El Greco art. Then spend the afternoon in Aranjuez, a beautiful World Heritage-listed royal city. You’ll be accompanied by a knowledgeable guide all day. The best part? By combining these two half-day tours, you’ll enjoy a 10% discount compared to purchasing the tours separately. Book this trip and save 10% compared to booking the trips separately. 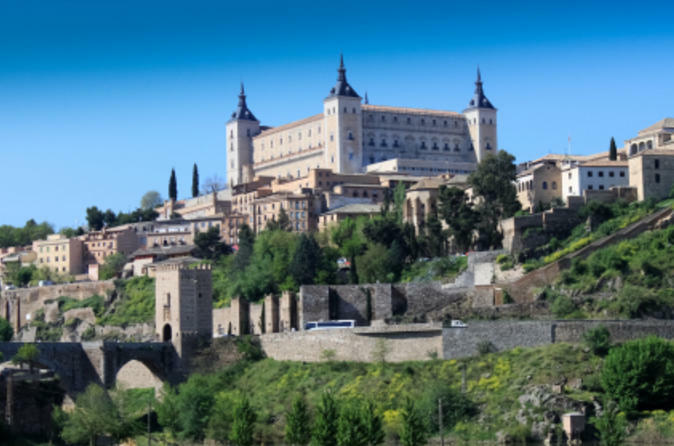 A highlight of any visit to Toledo, a UNESCO World Heritage Site filled with wonderful architecture, is seeing The Burial of the Count of Orgaz, the famous painting by 16th-century master El Greco. Toledo was the setting for many of El Greco's art, and you’ll see this painting – one of his most famous – at the Church of St Tome. Toledo is known for its art and history and has a landscape that combines Arabic, Mudejar, Gothic, medieval and Renaissance architecture. 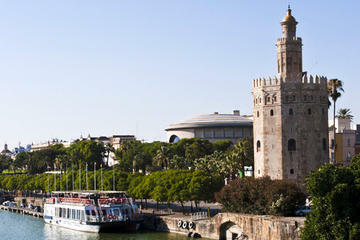 Surrounded by the River Tajo, the atmospheric walled town is crammed with churches and museums. 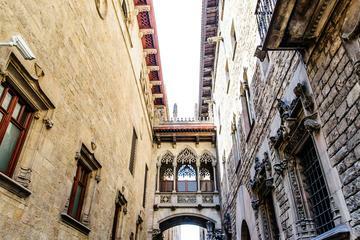 Sights you’ll see include the amazing 13th-century Cathedral of Toledo, the medieval castle, Santa Maria la Blanca Synagogue, San Juan of the Kings Monastery and the Victorio Macho Museum. In the afternoon, enjoy the beautiful architecture and regal atmosphere of Aranjuez, which sits at the confluence of the Tagus and Jarama rivers. Your local guide will lead you the Palacio Real (Royal Palace), part of Aranjuez’s UNESCO World Heritage Cultural Landscape. 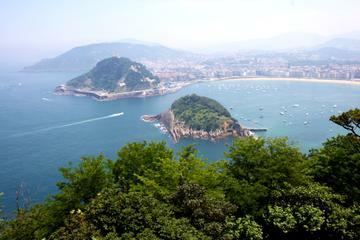 It is a Spanish Royal Site – the spring residence of Spanish kings since the late 1800s. Admire the decorative styles, and see the Throne Room of Elizabeth II, the Prince's Gardens, the Parterre and the Island. The palace gardens are so beautiful, they inspired Spanish composer Joaquin Rodrigo to compose his Concierto de Aranjuez. After relaxing in the gardens, you head to the Gran Casino of Aranjuez to have a little fun and enjoy a complimentary welcome drink. Your guide will show you around, and then you can try your luck at the tables if you wish. Our tour guides were both excellent. Although strict with time, they were so very knowledgeable and well-spoken. Both their Spanish and English were impeccable. Their passion was infectious and made the many sights we saw come to life. After the previous day's nightmare, I was relieved to have both excellent experiences. There were four of us in the group and we all noted how wonderful both tours were that day. We owe that to our guides. 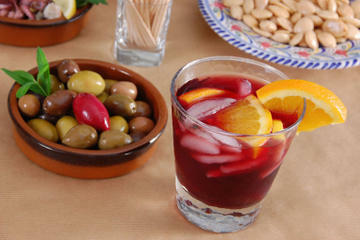 The tour to Aranjuez is great, both the programm and the guid are very good. 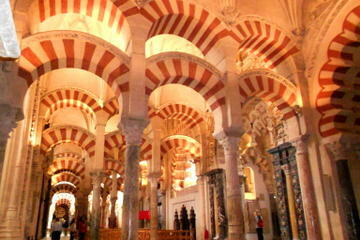 But tour to Toledo can be better, there are significant places in Toledo which do not included in the tour.